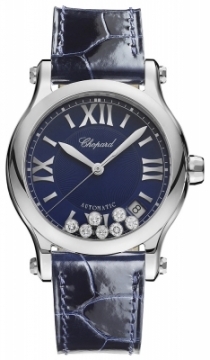 Chopard watches were founded in 1860 by a young man at the age of 24 by the name of Louis-Ulysse Chopard. Early on Chopard watches earned a reputation for excellence and quality. Unlike many other watch manufacturers, Chopard watches were not produced in huge numbers which meant they were limited and quite sought after. 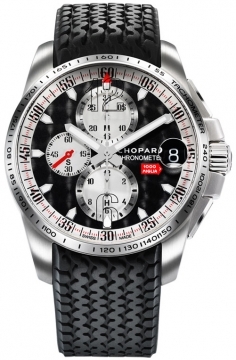 Chopard realised early on that although Switzerland was the home of watch manufacture, and his premises was based here, the real market for his watches was outside Switzerland in other European countries and places like Russia. The good times for Chopard did not last however and the company experienced a huge decline in the 20th century. The company almost went out of existence before it was bought in 1963 by a man name Karl Scheufele III who gave Chopard watches a whole new direction. His vision was to re-brand Chopard as a manufacturer of fine jewellery and this creative thinking found its way into the watch design with many pieces embellished with fine diamonds and precious metals. It was a bold direction to take but one which proved hugely successful. 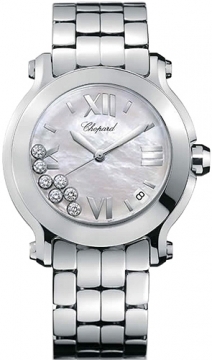 Chopard watches released collection after collection of successful watches throughout the next few decades. Some of its most popular ranges today include the Happy, Happy Sport, Imperiale, and Mille Miglia watches. Chopard is now involved with many prestigious events where it supplies fine jewellery to a range of famous celebrities and personalities.